Healthcare gamification market, endorsed with a plethora of conventional and offbeat applications in the medical space, undoubtedly stands at a point where it is set to witness tremendous gains in terms of profitability and recognition in the coming years. In the face of stagnant healthcare budget, healthcare giants, of late have been constantly combating with severe pricing pressure, the prime factor that has driven gaming theory integration in the business model. With the technological ubiquity and excessive accessibility, games that once required expensive specialized equipment can now be developed using comparatively economical off-the-shelf techniques. Another profound factor that has proliferated healthcare gamification industry growth is the consequential transformation from volume to value based approach in the healthcare business model. The presence of strong regulatory groundwork, advent of new technologies, and subsequent emergence of fierce competitive arena have collectively brought forth a slew of complexities for healthcare giants. The realm of healthcare gamification has proved to be one of the most optimal territories seamlessly integrating gaming engineering to enhance healthcare delivery and personalized care. • Weight management, Obesity, and Nutrition: Since obesity has turned out to be a global concern, gaming apps that have the ability to scrutinize nutrition and weight are gaining prominence in the global healthcare gamification market. In fact, scientists affirm that obesity as well as other chronic disorders are ideal to be treated with game based apps that would be able to track health metrics in an engaging manner. In this regard, HealthMonth, is presently taking the industry by storm. Claimed to bring a sure-shot improvement in health-related behavior once in a month, HealthMonth amalgamates nutrition science with behavioral change social gaming tool. • Cognitive, emotional, mental, and behavioral health: healthy mind healthy body- the proverb can be rightly placed to keep in sync the latest trend of healthcare gamification industry. Studies depict there are many emotional and cognitive areas that can be befitted by gaming theory and heathcare gamification market players have already penetrated this particular sphere. For instance, BellyBio, brainstormed by RelaxLine, a leading name in healthcare gamification industry is a bio-feedback app that helps to release anxiety through ocean sounds and deep breathing exercises. • Simulation: Not only in improving patient’s health related behavioral pattern, simulation games, of late, are increasingly used to upgrade clinicians’ and medical researchers’ technical knowhow, pertaining to patient monitoring, diagnosis, and medical procedures. In fact, on a broader spectrum, immersive simulations are often put to use for enhancing patient health by making them understand and visualize the health-related behavioural consequences. • Telehealth is another burgeoning arena where healthcare gamification market giants are making rapid inroads. Leveraging gaming theory is emerging as a popular channel to encourage rural populations about health outcomes. Integration of telecommunications and electronic information has proved to be exceptionally beneficial in supporting long distance clinical healthcare. With the extensive penetration of streamlined media, video conferencing, and other innovative technology, healthcare gamification industry share from telehealth is certain to be one of the ruminant growth avenues in the coming years. In the light of rapidly changing healthcare landscape, pharmaceutical investors are highly optimistic and are betting big in healthcare gamification market. Pfizer Incorporation, the American pharmaceutical giant has recently made to the headlines with its modification of popular sandbox game, Minecraft. Launched at the National Hemophilia Foundation’s annual day, this updated app, dubbed as Hemocraft, reportedly, was developed in collaboration with Drexel University’s Entrepreneurial Game Studio researchers and other members of Hemophilia community. As per reliable sources, the company has brainstormed this educational tool to educate the kids about its hemophilia treatment plan by means of a fun-gaming atmosphere. Citing yet another breakthrough witnessed in healthcare gamification market- in the year 2012, Melon Health, the New Zealand based pharma firm had launched beta version of Goalpost, a unique social networking and gaming app aimed to persuade people against tobacco addiction. If reports are to be relied on, the innovative technology has already created massive awareness in U.S., which can be overtly evident from the statistics which depicts that almost 23% of the 7000 Goalpost users in the country had left smoking after twelve weeks as of what recorded at 28TH Feb 2015. Such ground-breaking innovations are slated to strongly characterize the product and strategic landscape of healthcare gamification market in the ensuing years. Needless to say, the relentless innovations in digital health space, undoubtedly has played a pivotal role in shaping healthcare gamification market dynamics. Gaming technology has certainly established quite a rapport in healthcare fraternity, which by extension is slated to provide a remarkable push to healthcare gamification industry with regards to efficacy, personalized care, and delivery of the clinical solutions. 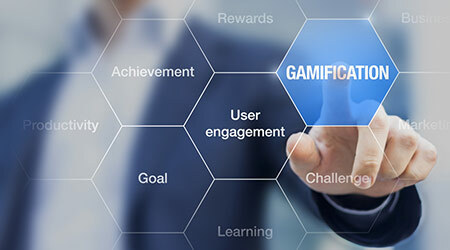 The commercialization of healthcare gamification market, as claimed by experts, is still at its infancy, on account of the fact that the deployment requires certain mandatory prerequisites. Nonetheless, considering the pace at which it is making inroads in a multitude of healthcare applications, it is indisputable that healthcare gamification industry size would chronicle itself as one of the most prominent verticals of the medical fraternity. Global Market Insights, Inc. estimates the worldwide healthcare gamification market size to surpass USD 40 billion by 2024. Satarupa De develops content for Global Market Insights.